Making paper bags at home is very simple and easy. It just takes few minutes to make a paper bag. All we need is colour paper, glue and scissors. Paper bags can be good option while giving gifts to our friends and relatives during parties and functions. 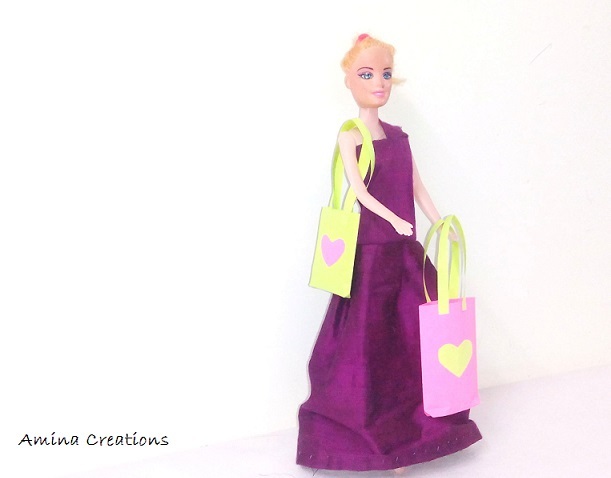 I have shared a video below on how I made this paper bag. I made this very small as I made these for my daughter's doll. You can make this in any size that you want. Do try it out and share me your feedback.